Nay, I say my mom is cool! 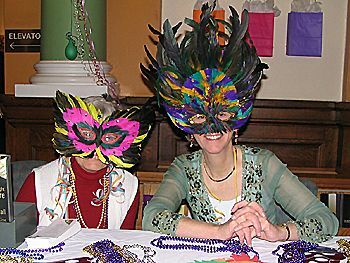 Yes, that’s my mom there on the right, volunteering at Arty Gras, a fundraising event for the Saint John Arts Center. She’s got the best mask out of everybody, I dare say.